Our fully trained staff here can provide you with all the services needed to get your car in top shape and back on the road. The services we can provide. We also purchase total loss vehicles. 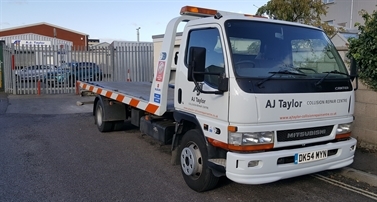 A J Taylor are an approved repairer for a wide range of work providers. Some of which we are proud to have been associated with for many years. If you have had an accident which wasn't your fault give us a call and we can put you in touch with our prefered Non Fault specialist MotorClaims Network. They can assist you all the way through the process from start to finish. We also provide services which are not body repair related.